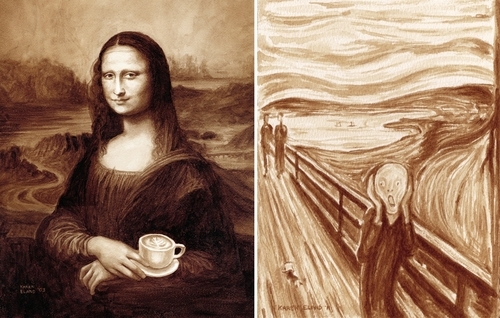 Coffee Paintings that give a bit of a twist, to some of the most famous paintings in the world. 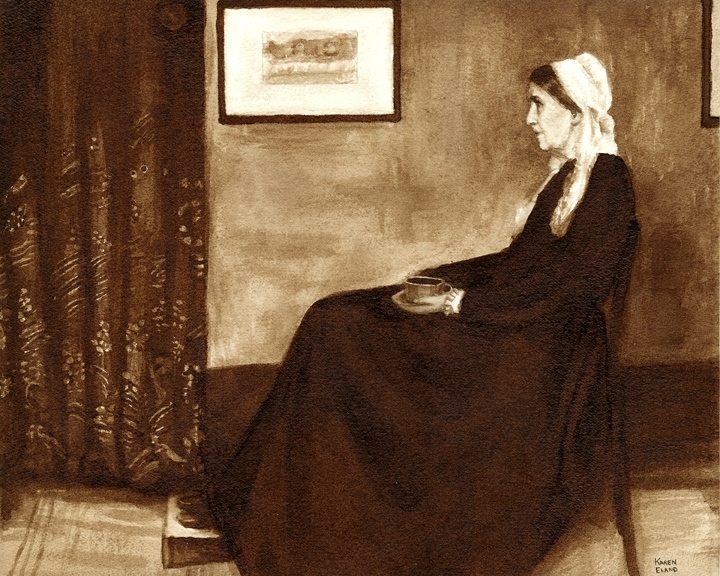 Karen Eland has had an affinity for art since a young age, but it wasn't till her first portrait class, at the age of 14, that she fell in love with painting. 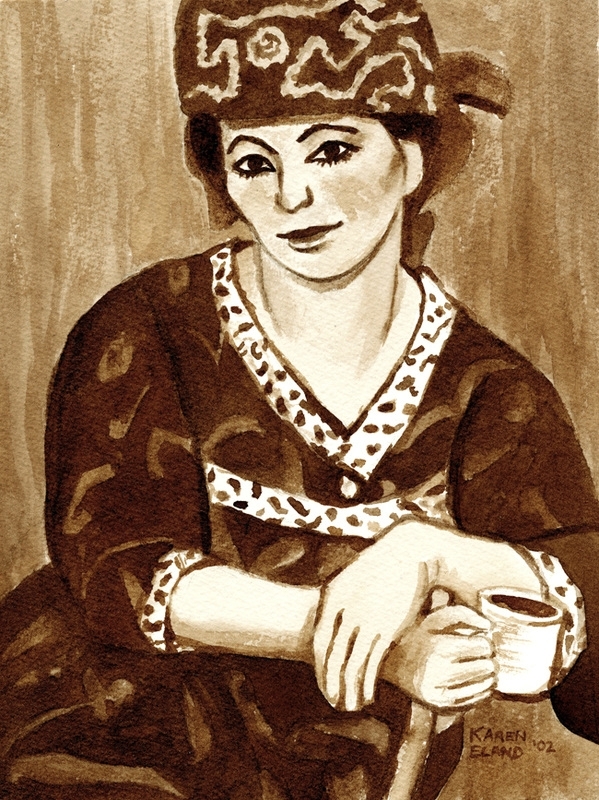 She would sit in her local coffee house in New Orleans where she would sketch various scenes form the French Quarter, whilst sipping black coffee. 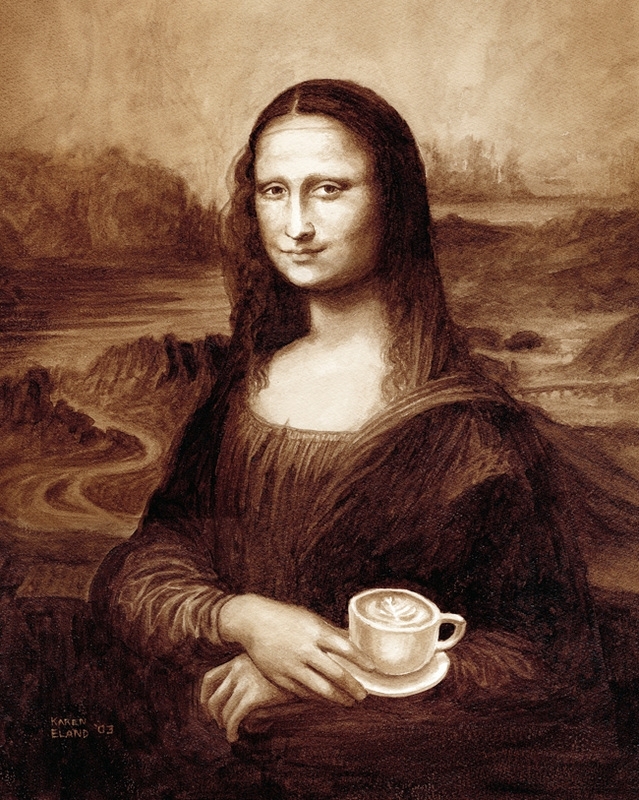 As well as coffee, she uses beer as a medium, the following is a link to her previous work here on DesignStack. 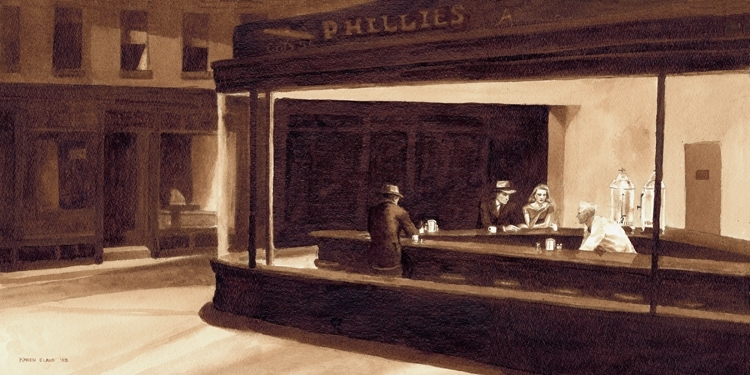 "Vintage Looking Beer and Water Paintings". I have also added a video below that show a bit more of Eland and her Art. 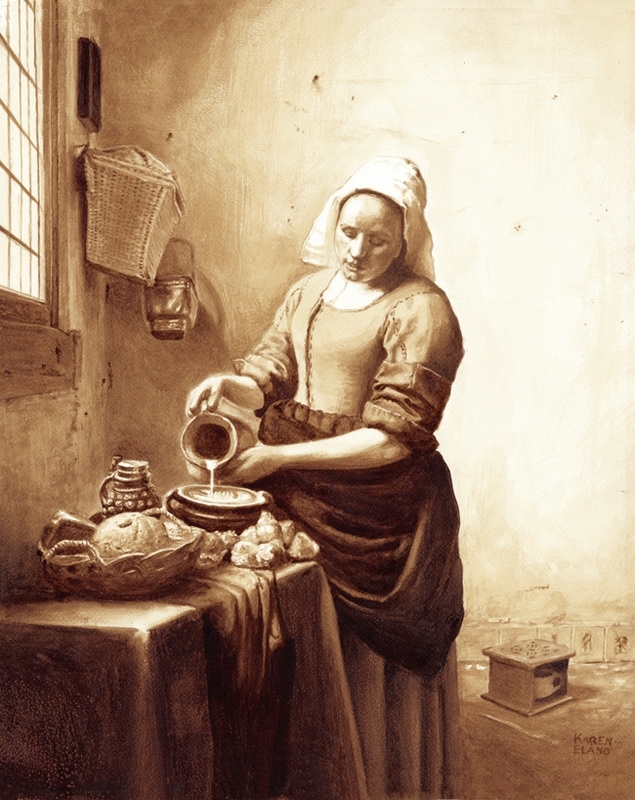 NW Stories Ep.1 - Karen Eland the Coffee and Beer Painter. 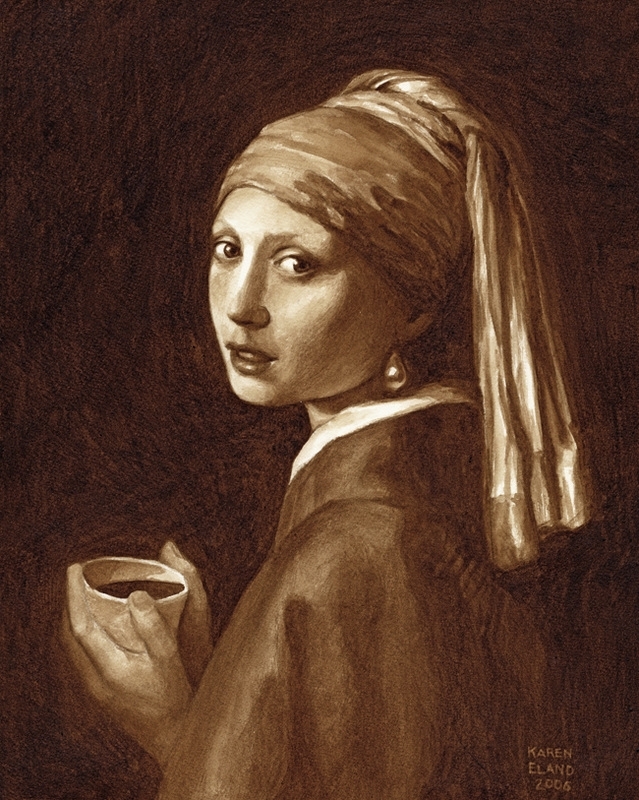 Johannes Vermeer - Girl with a Pearl Earring. 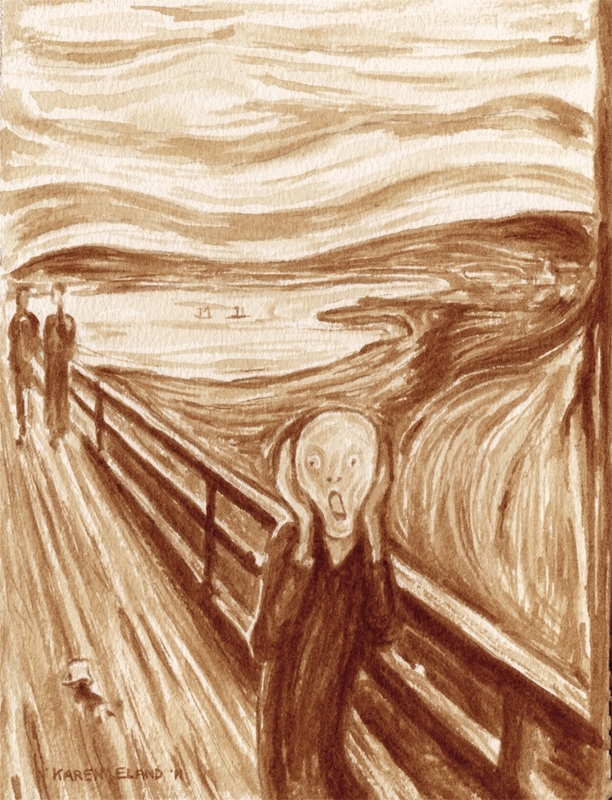 Edvard Munch - The Scream. 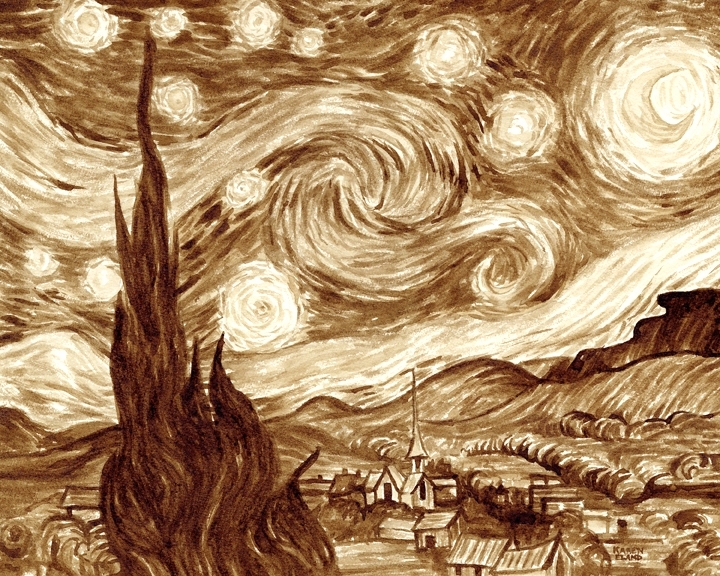 Vincent van Gogh - The Starry Night. 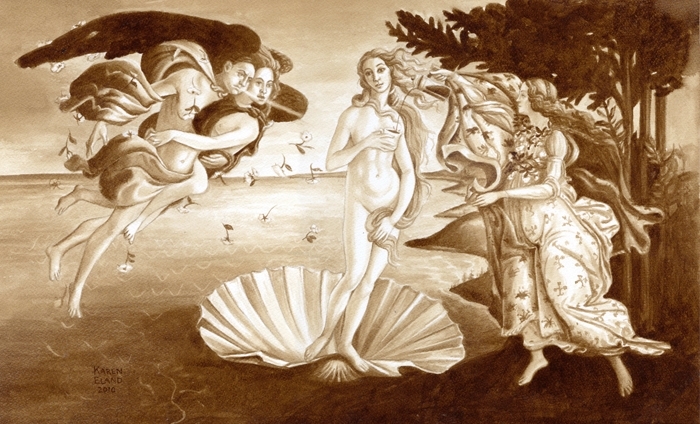 Sandro Botticelli - The Birth of Venus. 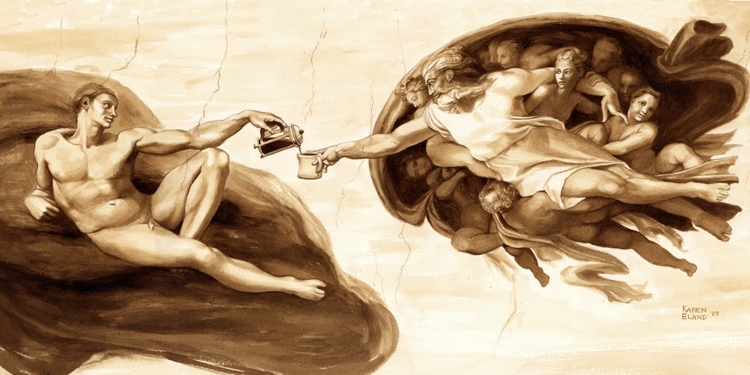 Michelangelo - The Creation of Adam. 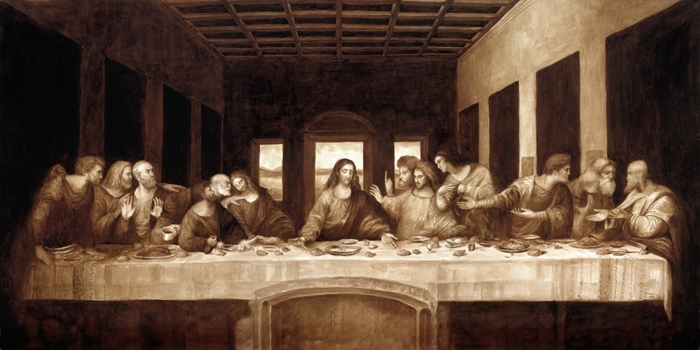 Leonardo da Vinci - The Last Supper. 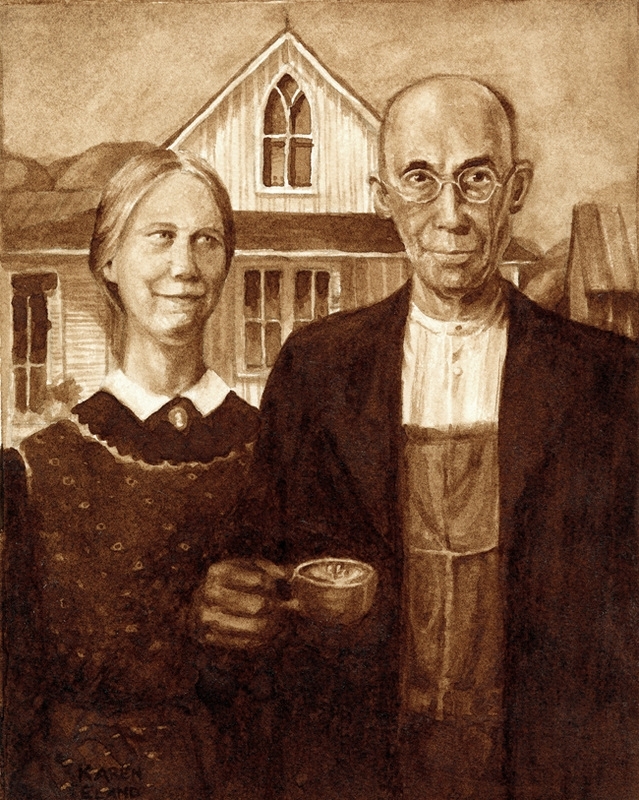 Grant Wood - American Gothic. 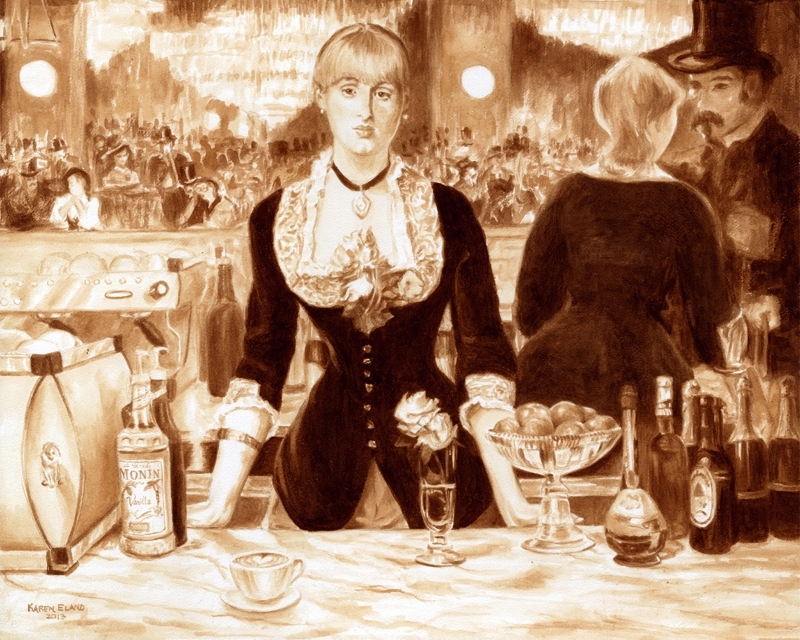 Manet - A Bar at the Folies-Bergere. 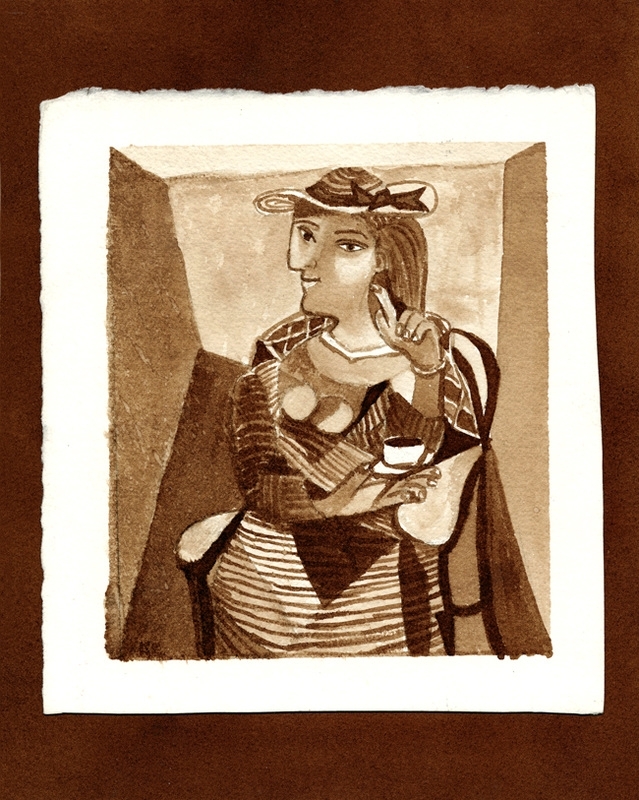 Picasso - Portrait de Marie-Thérèse. 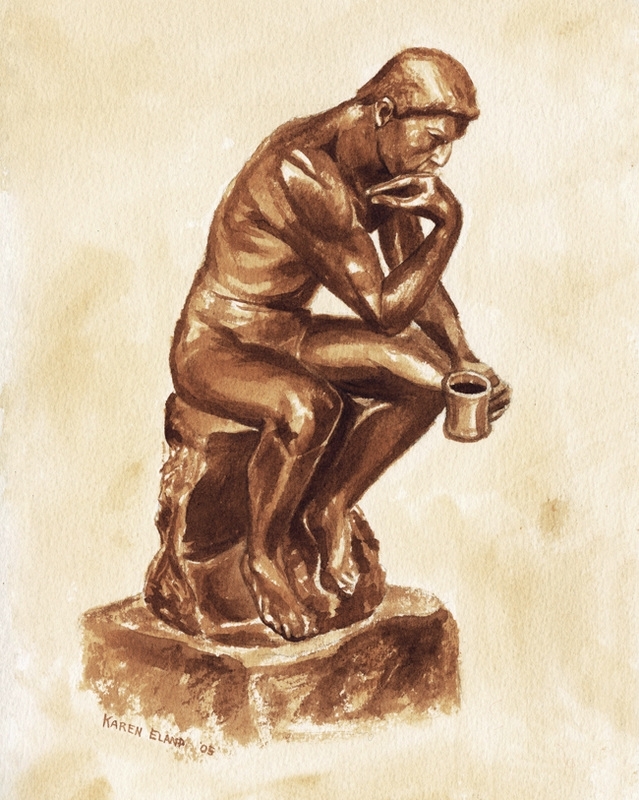 Auguste Rodin - The Thinker. 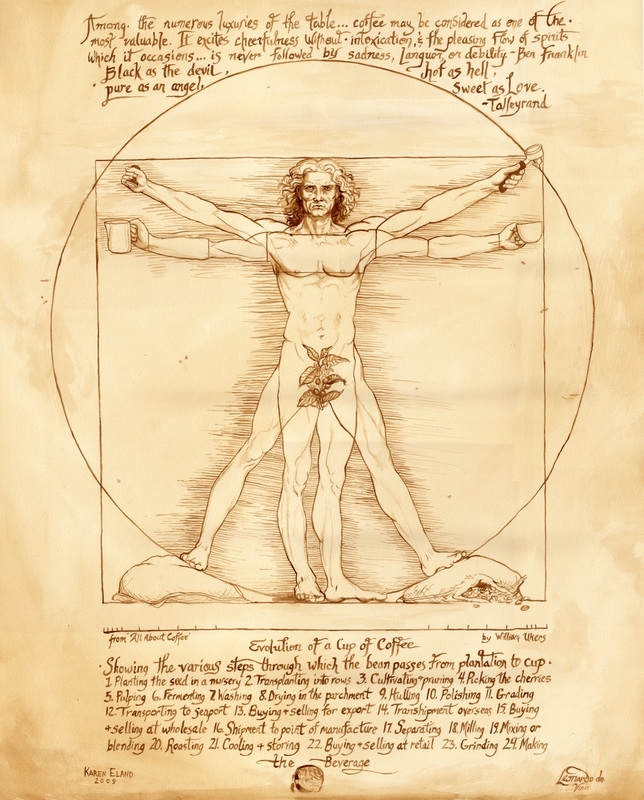 Leonardo da Vinci - Vitruvian Man. 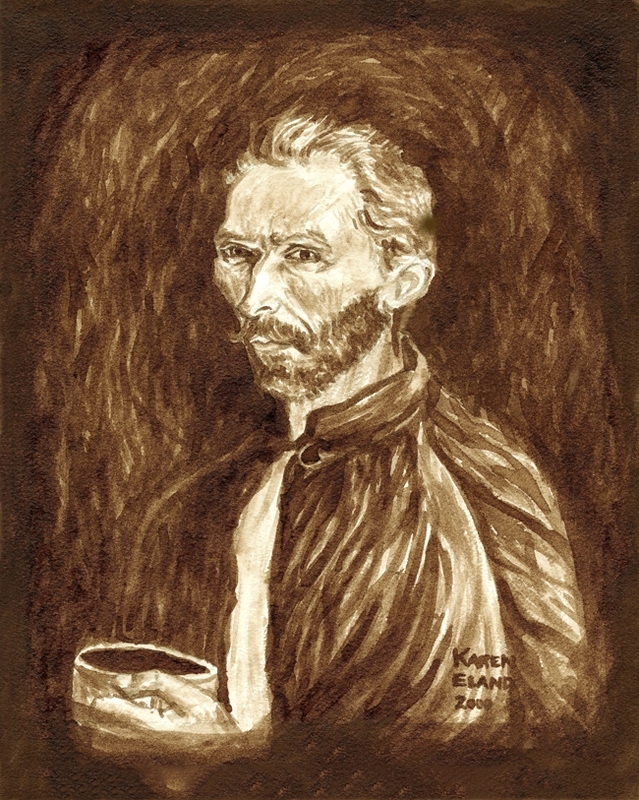 Van Gogh - Self Portrait.